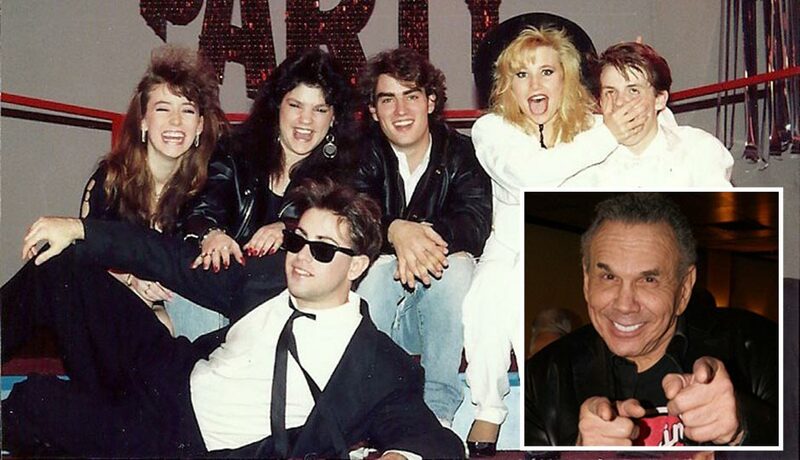 Some of the “Dancin’ on Air” and “Dance Party USA” regulars from the 1980s are none too happy with producer Michael Nise, inset right, who counters that they’re just bitter. Next week marks the 30th anniversary of the debut of the once nationally popular, Philly-set teen dance show Dance Party USA. The show was a spinoff of Dancin’ on Air — something of a neon-and-Members-Only-wearing little cousin to American Bandstand — which itself turns 35 later this year. If you were a tween, teen, or young adult — or the parent of one — in Philadelphia in the ’80s, you are no doubt familiar with Dancin’ on Air. It premiered on Channel 17 in October 1981, eventually got syndicated in 1986, and morphed into Dance Party USA, which became a huge hit for cable’s then-fledgling USA Network. Both shows were shot in Philly and, like predecessor Bandstand, featured teens from the area. While many of the dancers were simply kids lucky enough to get in for the tapings, others became “regulars” whose performances earned them a degree of local fame. Dancin’ on Air ran until 1987, and Dance Party USA continued until 1992. Decades later, the regulars are all grown up and pushing 50. One of them remains a household name today: South Jersey native Kelly Ripa, who declined to comment for this article. But by the mid-’90s, with the shows all but forgotten by your average television viewer, the other regulars had settled into relatively quiet lives far from from the spotlight. The invention of social media enabled a few of them to rekindle their renown through Facebook fan pages, where they post memories, photos, and where-are-they-now updates to their followers, which number a thousand or more in certain cases. Others post similar content on their personal Facebook profiles. And now Facebook is where tensions between the regulars and the producer of the show, Mike Nise, have flared up in a big, big way since January, when Nise launched a new, online version of Dancin’ on Air. You’d think that the people behind two programs that continue to occupy a weird little niche of Philadelphia’s collective consciousness might be popping a few Champagne bottles — or at least a six-pack of wine coolers — together to mark a momentous anniversary. But the familiar faces from the shows — and the producer behind it — aren’t doing much celebrating at all. Instead, they’re locked in a contentious fight over their memories and the shows’ very legacy. Heather Day as “Princess” in her “Dancin’ on Air” Days, left, and in her fitness studio today. Like many of her peers from the show, Day has held onto VHS and even Betamax tapes from the broadcasts, recorded at home by friends and family excited to see their Princess on TV. And like the other personalities, she has shared clips from her personal show highlights on her Facebook fan page. Many of the clips shared by Day and the others were shot with a cell phone from a TV screen. High-def they are not. Recently, the videos shared by Day and several other regulars we spoke with started disappearing from Facebook, with messages from the site explaining that the clips in question were in violation of United States copyright law. Some regulars report that their Facebook pages have been suspended after repeated infractions, and one says that her entire YouTube channel — which she says also included videos of her kids — was removed. The copyright claims have come from a Philadelphia-based entity known as Omni 2000 Inc. And who is the CEO of that production company? None other than Mike Nise, the shows’ producer. Regulars like Bobby Catalano, Lillian Narodowski, Liz Jacobs, and Romeo King tell the same kind of stories. Before the videos are pulled down, the regulars say, Nise’s team downloads them and posts them on Omni’s own page, Dance Party USA/Dancin’ On Air, which goes out of its way to say that it is “the only official group” commemorating the shows. It’s very unfortunate that this is the way you want to leave a legacy to everyone that loved and appreciated that time in our life. But I’m sorry Mr. Nise, if it wasn’t for all those people that journeyed each and every day to the studio… Honestly, you wouldn’t of had a show if it wasn’t for us…. YOU NEEDED US TO MAKE IT HAPPEN!!! 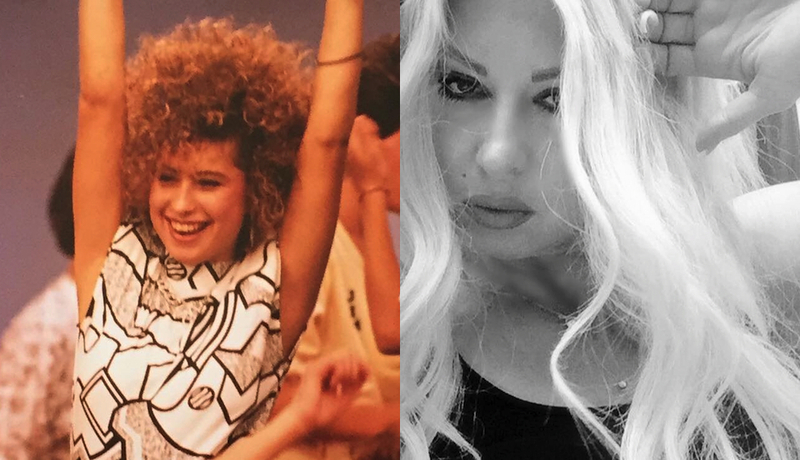 Lillian Narowodoski on Dancin ‘ On Air (left) and in a more recent photo (right). However, it’s not just videos on Facebook that have been targeted by Nise and his crew. A few years back, Romeo King and other regulars decided to host an alumni party at Dave & Buster’s that would double as a breast cancer benefit, because one regular had recently been diagnosed with the disease. Left: Romeo King with a fan circa 1986. 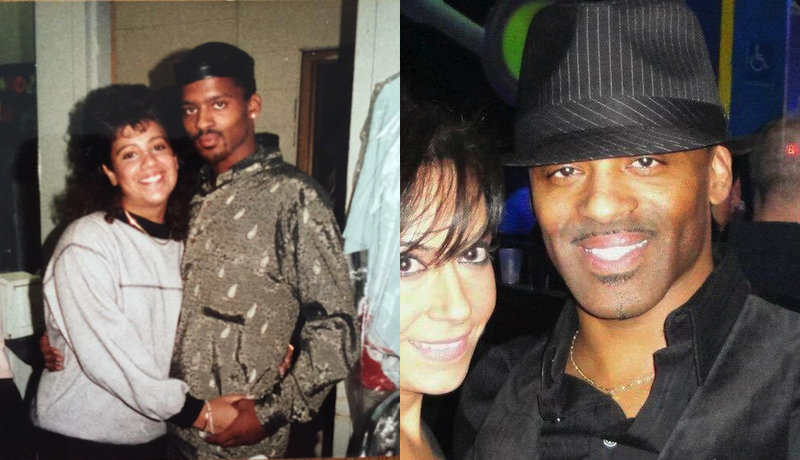 Right: King in a recent photo with former Dance Party USA regular Terry DeSanto McNulty. King and the others formed a group called Dancin’ Party Alumni. According to King, the benefit did not plan to charge admission and rather sought to raise funds through silent auctions and other fundraising efforts. Nise’s Bala Cynwyd attorney sent King a cease-and-desist letter, claiming that Dancin’ Party Alumni’s logo and other aspects of the group and event infringed upon Nise’s rights. THOUGH THE REGULARS say they have been hearing complaints from Nise and Eberts for a while, things certainly ramped up after the January debut of a newly produced series of Dancin’ on Air episodes for the website of cable channel Fuse. Nise and Eberts are behind that show, though they were only nominally involved with a reality show, Saturday Morning Fever, that followed the exploits of the show’s host and six of the dancers, and actually aired on the network. Even though it doesn’t sound like the new Dancin’ on Air has much of a future, if it ever did, Nise and Eberts both say that they don’t want to dilute the brand with all of these “unofficial” Facebook pages and shares. “When there are 50 sites that say ‘Dancin’ on Air,’ how are you supposed to know where to go?” asks Nise. Eberts wasn’t around back when the original shows were on the air. Nise hired her for another television production he was involved with in the late ’90s, and she’s been with him ever since — but just professionally, says Nise, contradicting the suspicions of some of the regulars. In any event, it’s clear that Eberts is calling a lot of the shots these days. “We own these videos,” says Eberts, who goes on to confirm that she has, indeed, been downloading the footage shared by the regulars and then reporting it. “The new dance show is targeting the millennials and the teens and tweens, and they aren’t interested in this ’80s stuff, so we don’t want to alienate them. But with Nise’s doubts that the new show will even continue, and now that he’s set his sights on a new mystery production, why bother? Why make enemies out of your old, once-loyal friends, most of whom worked for free or next to nothing? Nise says he’s told all of the regulars directly: Instead of sharing the clips on your personal Facebook pages, share them on my official page. He also points to a licensing agreement he made a decade ago with a company called Historic Films, which he says is the only entity other than Omni that’s allowed to share and distribute even a single frame of content from the old shows. “They want to collect and control everything,” says Heather Day. IN THE END, it doesn’t sound like Nise and his former “TV kids” are going to be reconciling or collaborating on anything again anytime soon, and certainly not in time for this week’s 30th anniversary of Dance Party USA. Talk of a 30th event did recently come up on Facebook (where else? ), and the since-deleted thread devolved into name-calling and one fan accusing Nise of being the one behind all this conflict. Nise asked the fan for an apology, and the fan said he wouldn’t apologize for being passionate. Nise’s response is pretty indicative of where things are at in this bizarre world of never-quite-famous TV personalities, and it just goes to show you how Facebook makes all of us — no matter our age — act like we were in high school again, and not in a good way. Nise says he actually wasn’t the one to write that message, explaining that Eberts handles a lot of their social media, including some posts on his own Facebook profile. Nise sounds sad for a moment, reflecting on it all. But then he perks up and says that he is very excited about the upcoming, as-yet-unnamed and as-yet-unwritten project.